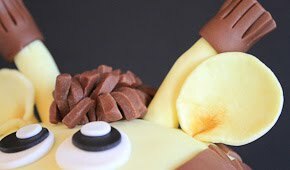 If any of you readers have made your way to this post by way of DC Rainmaker, you will fully understand why I chose to tackle this theme for his birthday cake this year. For everyone else, The Boss is pretty technology savvy (to say the least) and in the mix of all the technological gadgets that he toys with, his camera is ranked #1! Incase anyone just gasped, it is in my opinion, the camera is his favorite because if he didn’t have his camera he wouldn’t be able to take all of those product pictures of the Garmin, Polar, etc. that everyone else loves so much. So a long story short, I thought that a very appropriate cake for him this year would be an edible replica of his favorite tech toy! While I am not super pleased and ecstatic with how the final product turned out, The Boss seemed to be really impressed. I think there are a lot of features on the cake that came together really well, but I definitely think this cake could be done again to be just a little bit more refined a little bit more detailed. For now, I am satisfied. Here is how it went. And that is the end of the photo shoot! Haha that wasn’t funny was it? No? Ok, moving on...This cake was a lot of fun to make and most importantly it tasted GREAT! 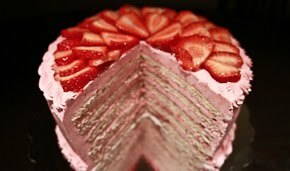 Double chocolate cake with raspberry filling and vanilla buttercream layers! I hope you liked it too, and don’t hesitate to leave a suggestion if you would like to see a cake of a “certain theme” created in the future. Who knows, your creative idea might be the next cake featured here! Even cuter to see he's wearing a wedding ring now! Changeable lenses? You are the coolest! Incredible! Great idea and amazing how it turned out!! Changeable lenses? I mean c'mon! Nice cake! 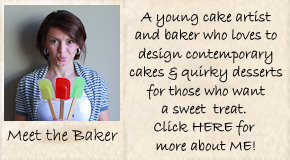 I sent you a link a few weeks ago to enter the Cake Boss contest! I love the SLR cake. It is a very yummy yet eye-candy novelty. 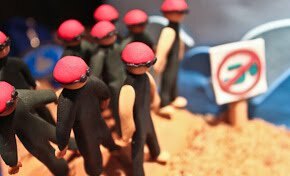 Forming these novelty themed cakes is the final course in our cake courses. I would like to make Eiffel tower. You just gave me some creative ideas about gift ideas for women. All I have to do now is see what item I can make a cake out of for my sister's birthday. This looks amazing. 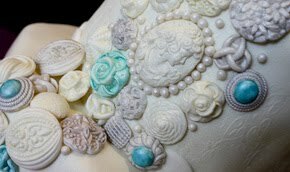 Though I wish next time you can feature wedding inspired designer cakes. I'm looking for a unique one for our big day. It’s a creative masterpiece indeed! This is perfect for my sister’s baby shower this coming month! We’ll definitely try this cake at home, after we have completed buying things for her baby. It’s an awesome and lovely cake you have here. I also want to try this one, I’m just waiting for my new oven to be delivered. 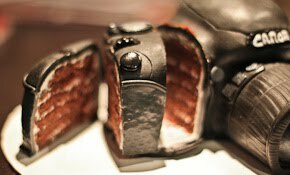 When I saw it at the first look, I thought it was real camera and then suddenly I scroll it down it's a cake camera. 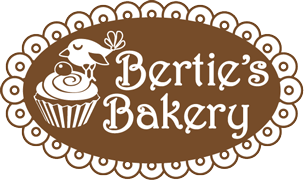 It's regretful to eat such wonderful cake design like this one. My friend baked cake almost likely listed above and I accidentally stepped it because she placed the cake at the platform which I wasn't noticed when I walk through.